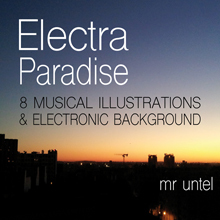 Summer edition release for Mr Untel with Electra-Paradise, an original new album specially created to cover modern Electronic fields and Deep House Area. This album includes 8 tracks with various tempo and feel, just perfect for Sport, Action, News or Documentaries. Enjoy now !